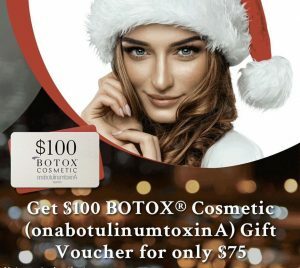 Give the gift of Botox this year! Purchase this $100 holiday gift voucher for $75 to use on yourself or a loved one. ⭐️LINK BELOW ⭐️ offer only available thru link. Please note terms and conditions. This offer may sell out. Limited time. May purchase up to 4 vouchers per email address. Must be a Brilliant Distinctions member. Voucher can be used on Juvederm, Voluma, Kybella, or CoolSculpting starting January 1, 2019.